Mike Houl Free styling foam with any purchase of $9.99+. 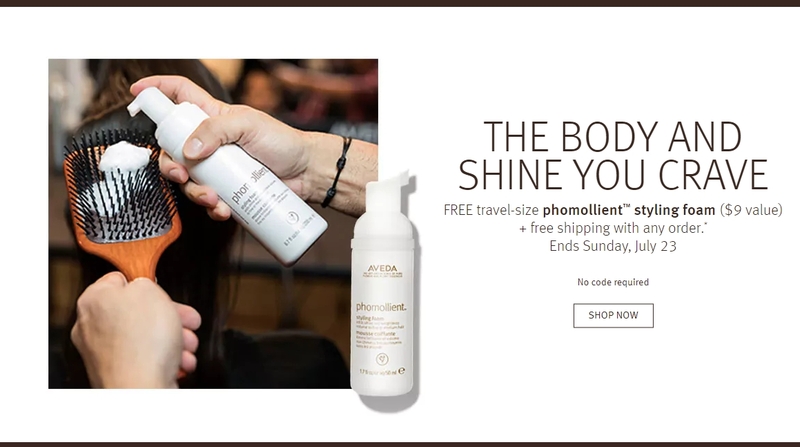 Oscar Guilarte Great deal, click link and purchase now to get a free travel size styling foam, hope you take advantage, good luck. 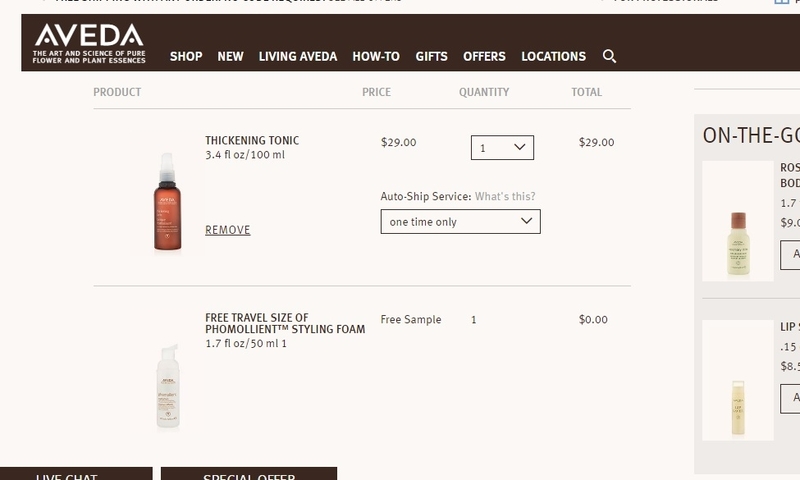 Ashley Drewes I am validating that this freebie deal from Aveda is currently active and is working as it is described. Pop Culture Shock I am validating that this deal is exactly as described and works. 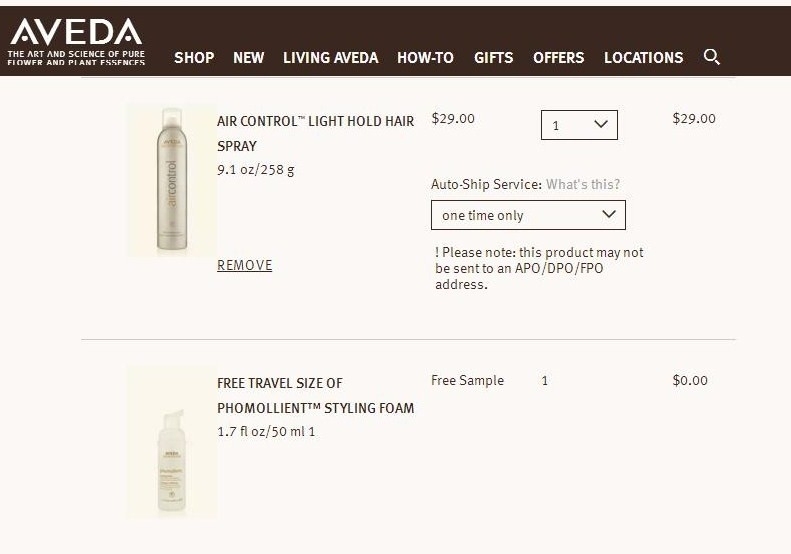 Place an order of $10 or more and you will receive a Free Travel Sized Phomollient Styling Foam. 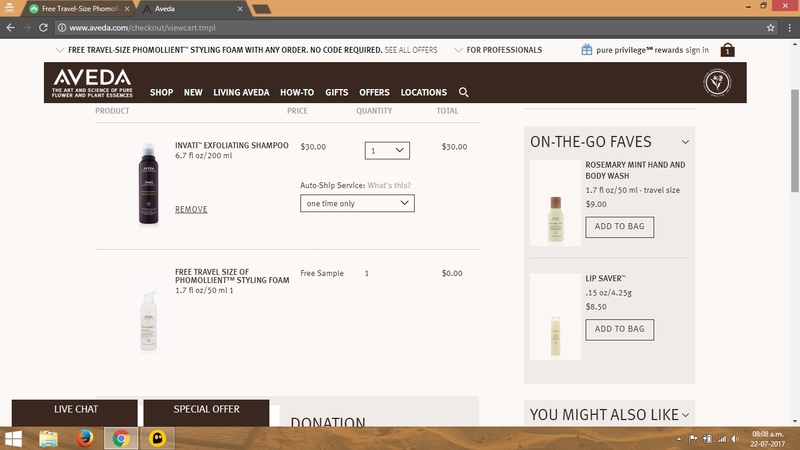 Jessica Harlow Follow the link and add any item(s) to your cart totaling at least $10 and the free travel-size sample is automatically added to your cart at check out. You do not need a promo code. Shipping is free on all orders. Tiffany O There is no promo code associated with this offer. This offer is valid for a limited time only. 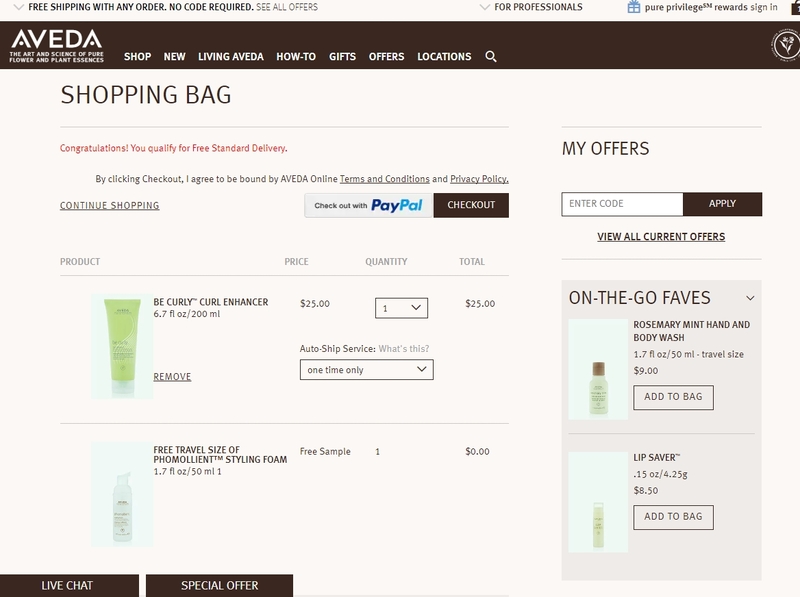 Free shipping is applied.